angels & demon. grrr8 story. loved it. 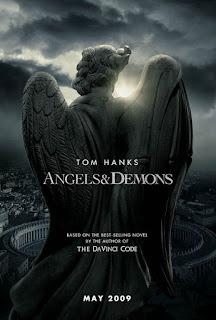 When a murder of a physicist, Leonardo Vetra, finds a symbolist, Robert Langdon, and Mr. Vetra’s daughter, Vittoria, on an adventure for a secret brotherhood, The Illuminati. Clues lead them all around the Vatican, including the four alters of science, Earth, Air, Fire and Water. An Assassin working for the Illuminati, have captured four cardinals, and murders each, painfully. Robert and Vittoria also are searching for a new very destructive weapon that could kill millions. The Pope died and the conclave has been called for. 4 candidates were chosen. However, before the voting, the 4 candidates are killed one by one. The killer leaves clues that seems to say that he/she is from the Illuminati. Strangely though, the Illuminati was long thought to be extinct. Who is the mastermind? Who revived the Illuminati? What do they want?